Developers constantly willing for the open source platform and cross-platform for building the applications for mobile, desktop or web without the constraints. Yes ASP.NET is now ASP.NET Core offering the best of the favorable features for developers, and with updates now it is to ASP.NET Core 2.0. 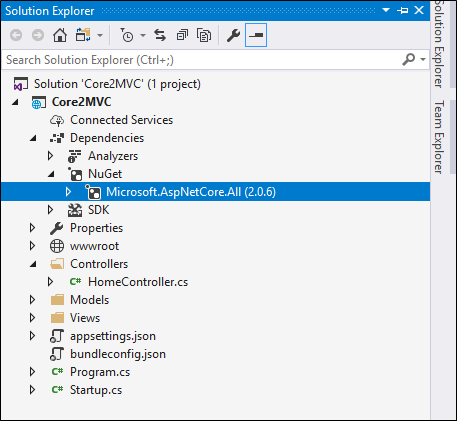 Back in August, Microsoft announced a newer version of .NET Core along with ASP.NET Core named it ASP.NET Core 2.0. It is a package of amazing and outstanding features and functionalities that have boosted the performance by 20% and even raise the productivity. This results in letting the application be more reliable and robust. Please note the prerequisites pointers – Visual Studio 2017 version 15.3 can be used to create the application based on ASP.NET Core 2.0 and even .NET Core SDK 2.0 can be downloaded for feasibility. For an ASP.NET developer, smarter is to achieve the task by writing few lines of code for any of the module. By using ASP.NET Core earlier version, it was in need to set up web server – Kestrel, current directory, and if IIS is required then that too in the Main method. 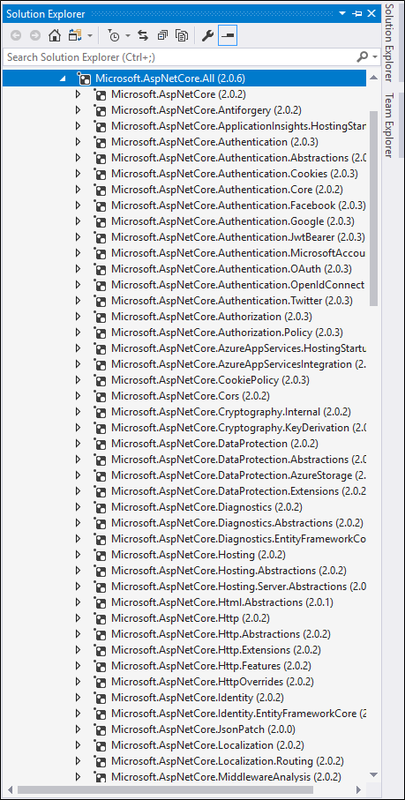 But with ASP.NET Core 2.0 this setup can be handled in CreateDefaultBuilder method automatically. Program.cs class has the minimum lines of code now with this version. Angular 4, React.js and Knockout.js with Redux are no more the unaware terminologies, for better performance and flexibility, these are commonly used now. ASP.NET Core 2.0 SPA template is the sum up of all of them, where Angular 4 and React are executed in all the required pages. By using NPM, all the needed packages are automatically installed. No more to worry about installing the angular and typescript, as the packages are installed in the ready-made project, just to kick start from the coding. A considerably notable big difference is with the project files. The older xproj project is now replaced with csproj. Instead of traditional csproject, Visual Studio was using xproj and project.json files, the updated file format is pretty simpler now by utilizing .NET tools like MSBuild. With Razor pages to create the dynamic pages for the web application is now possible. Rather it is more amenable as it caters features like Layout Pages, Partials Pages, Tad Helpers, Templates, code-behind page, directive etc. Although it does not follow the MVC standard pattern now and nor even uses the controller for view [.cshtml page]. Roslyn compilers and C# 7.1 features are now supported with ASP.NET Core 2.0 along with Razor View Engine . Visual Basic is now the part of .NET Core with the release of the newer version. With the deprecation of project.json, to perform the multi-targeting of frameworks and Visual Studio Ul, it has absolutely changed in Visual Studio 2017. One framework can be comfortably targeted within the project properties. The biggest goal of portability of .NET Core across various operating systems, desktops, servers and mobile has been fulfilled with the continuous Microsoft community support. Now Linux, Windows and macOS is treated as an individual Operating System. By expanding the reference section, all the relevant packages are already referred to the meta package. This can be clearly be seen in the attached screenshot. By using ASP.NET development Core Web Server option, it is easier to trace the application, as it shows how the application got started and got further rendered on the browser. Right from start to execution, each phase of information is clearly depicted here.